So, Mind Behind the Mind (Trinity Torn, 1) didn't arise victorious in the the 2017 Self-Publishing Fantasy Blog-Off (SPFBO), but it led me to a great community of fantasy authors. SPFBO 2018 has just kicked off, and one of this year's entrants has organized a great promotion. Past and present SPFBO entrants were welcomed to participate. And I figured it would be an excellent opportunity to join in with Mind Behind the Mind. 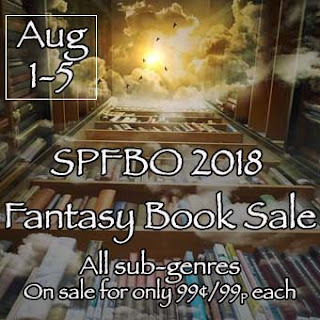 The SBFBO Fantasy Book Sale is from August 1 through August 5, 2018, and there are over 120 books priced at $0.99! This is the first time ever I've dropped Mind Behind the Mind down to $0.99. If you've been thinking of grabbing a copy, now is the time! You can find it at various retailers, including Amazon, Barnes & Noble, Kobo, iBooks, and Google Play. 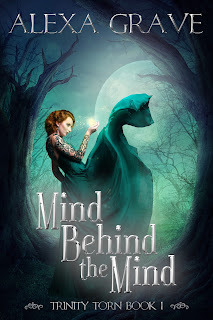 Just hop on over to the Books2Read page for Mind Behind the Mind and you can purchase via your preferred retailer from the list provided after clicking Buy Now. Of course, if you want to take full advantage of this promo, you'll have to wander over to the SPFBO Fantasy Book Sale page, where you'll find over 120 books discounted to $0.99. Lots of different sub-genres as well. Perhaps you'll find something being offered that you've been hoping to give a whirl. What are you waiting for? Go buy some awesome fantasy books!